Came across this article from The Guardian- concerning the possible comeback of the compact disc. Makes sense to me. CDs never left. There are whole genres out there that depend on the higher quality a CD can deliver over streaming, and there are limited markets (such as special edition film scores, local symphony orchestras, etc) that do not do streaming at all. These are niche markets, but there are a lot of them, and they do just fine outside of teen pop circles. The physical product- while it will never sell the numbers it once did–glad to see there is somewhat of a comeback recently. Downloads have no romance about them. Unfortunately, my new CR-V does not have a CD Player option. It didn’t seem that long ago that cars began putting in slots for cd’s–that has went like VHS tapes…and video stores. As much as I enjoy LPs, I haven’t had my turntable out for years since my current tuner doesn’t have a turntable input (and I haven’t bothered to buy a converter). I never stopped buying CDs, and streaming hasn’t interested me. I want liner notes and photos, even if I need a magnifying glass to read them in CD booklets. Can you imagine, “I can’t wait for the White Album 50th Anniversary download!” I think not. The problem with LPs- and I do have a stereo with a turntable- is they are not convenient. I love the sound but you have to be in the room to listen. CD’s you can take places- of course not the car now. It is just so hard to find cd’s now- especially the ones I want- ordering them online isn’t as much fun as going out and searching- and buying them. I grew up experiencing both vinyl and the introduction of the CD. While I have rediscovered vinyl, I’m less excited about CDs and don’t think I’ll ever go back to fully embrace them. My first exposure to music were my sister’s vinyl records in addition to radio. I also started buying my own vinyl in the late ‘70s, which I own to this day. Largely because of that, I got a turntable about 1.5 years ago (after I had not owned one for 20 years or so!) and started buying used vinyl records, since more than 90% of the music I like is old! The reissue of Sgt. Pepper (double-LP) became my first new vinyl in more than 30 years. It felt a bit like Christmas. As for CDs, I got into them relatively shortly after they had been introduced. I still recall the fuzz when Dire Straits issued “Brothers In Arms” on DDD, one of the first CDs in the all-digital format; most were ADD or AAD in the early days. The sound of the Dire Straits CD was just amazing! The one transition I haven’t fully made is from downloading/owning to renting music. Unless it’s something I’m not that excited about, I still want it to be my own for good! Actually, I completely forgot about MCs! While I didn’t buy any music on cassette, I prolifically used MCs to tape music from the radio and to copy LPs and CDs from friends. I still have hundreds (and will probably die with them, since I just cannot throw them out!) but haven’t had a working tape deck for a few years. At the time I was using cassettes, I had a fairly decent stereo, including a pretty solid tape deck, so I could get high quality recordings. Oh wow, I didn’t know. I still cannot believe he’s no longer with Fleetwood Mac. While Mike Campbell is a great guitarist and I suppose Neil Finn is a decent vocalist, I still cannot imagine Mac without Buckingham. Unless I read outstanding concert reviews, I don’t believe I’m going to see the band again. Instead, I rather go to Tusk, which is an excellent tribute band that mirrors the lineup from the Rumours era. As for Buckingham solo, I don’t know – again, an absolute outstanding guitarist, but without Mac? 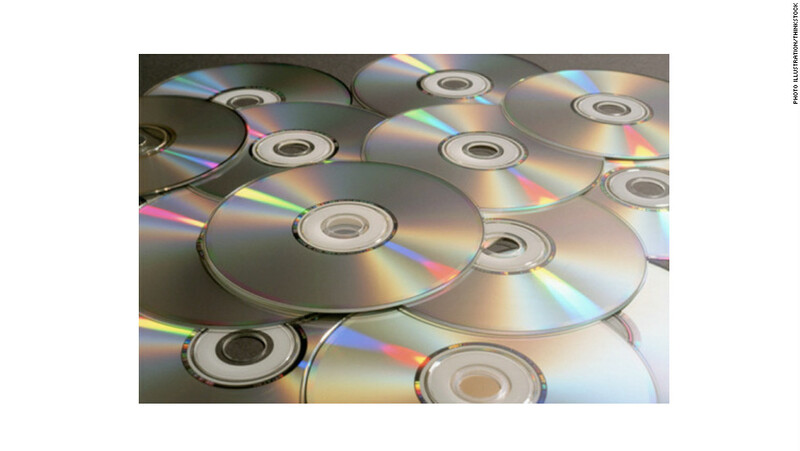 Did CDs ever go away? I still buy them for their liner notes and non-charting songs. Though sourcing the rarer albums has become harder. 943 million were sold in 2000- it is now down to 99 million sold last year.